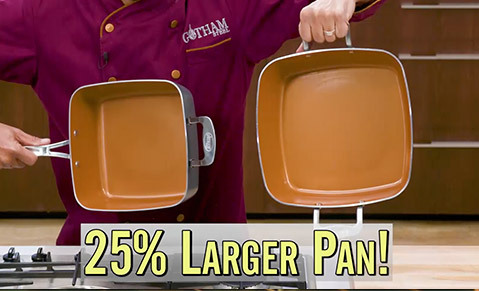 Gotham™ Steel XL - The newest deep non-stick pan made with ceramic and titanium! made with ceramic and titanium! Gotham™ Steel XL is great for all this and more! 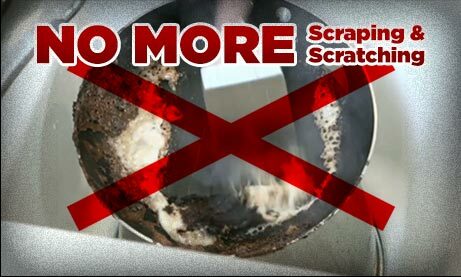 Does all your cookware get in the way? Does food stick and burn to it everyday? Not anymore! Celebrity Chef, Daniel Green, has the new Gotham™ Steel XL. The one pan that replaces all your other pans! With 25% more cooking space than other square pans! The Ti*Cerama surface combines super strong titanium with super slick ceramic. Melted cheese sticks to other pans, but not Gotham™ Steel XL. The cheese lifts out with ease! Everything slides right out! The 6 quart size is big enough to cook a whole turkey. 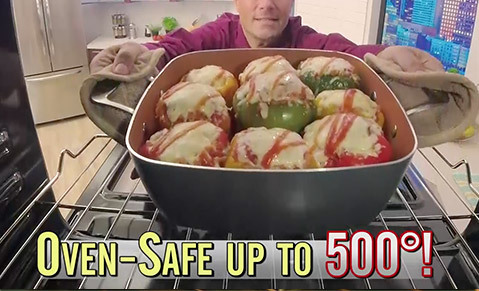 Even bake a dozen stuffed peppers all at once! The adduction plate guarantees a precise sear every time! Clean up is always a breeze with Gotham™ Steel XL, it’s dishwasher safe! THIS OFFER IS NOT AVAILABLE IN STORES Fill Out The Form Below To Order Your Gotham™ Steel XL Now! 1 easy payment of $59.97 + FREE shipping! 3 payments of $19.99 + FREE shipping! Buy the Gotham™ Steel XL for 3 low payments of just $19.99 + FREE shipping! Or, make 1 easy payment of $59.97 + FREE shipping!